Last week, I mentioned there are deeper ways to understand how the Bible is put together and what it continues to say to us. The better we grasp some of these principles, the better we can help unchurched people deal with some of the more difficult questions they ask when confronted with Christianity and the Bible. For example, here’s a common argument you’ll hear from nonbelievers about the Bible: How can you base your life on a collection of writings that seems to accept slavery? By this, they are referring to writings in both the Old and New Testaments that treat slavery rather matter-of-factly, even instructing slaves to be obedient to their masters. It’s a good question, one we can answer only if we understand how the Bible launches ideas into the future the way we launch rockets into space. Biblical concepts have trajectory, and because the Bible aims them perfectly, astonishing things happen because of their launch. Some of our texts we used this Sunday at Cassidy UMC help us see such trajectory. In our Leviticus text, we see a list of proper behaviors that result in a general admonition: Love your neighbor as yourself. It was a powerful concept in a culture where resources could be scarce and the need to look out for self and family drove a lot of decision making. We know from further study of the Bible, however, that the Jews let these early teachings associated with the law devolve into legalism. They focused more on the details of what God had given them and less on the big principles they had received. By the time Jesus entered the picture, humanity was in need of a course correction. In our Matthew reading, we hear Jesus citing a couple of these detail statements, but then explaining that God expects people to understand them as matters of the heart. “You have heard that it was said, ‘An eye for an eye and a tooth for a tooth.’ But I say to you, do not resist an evildoer,” Jesus said. Now, the Old Testament’s “eye for an eye” statement was a huge leap forward in justice; at the time it was given, there was little in terms of equality in punishment. The poor were often punished for no good reason, while the rich often were not punished despite very good reasons. “An eye for an eye” was a prescription for a more equal form of justice. Similarly, Jesus took a fairly straightforward, right-sounding statement—love your neighbor and hate your enemy—and complicated it, at least in human terms, by saying we need to love and pray for our enemies, too. Jesus was communicating an idea that remains very difficult to live out today. Despite what it may cost us, we’re to treat all people as brothers and sisters so that love may more rapidly spread the kingdom of God. It also quickly becomes clear we can never perfectly live up to God’s standard. That’s why we need a Savior, someone willing to do whatever is necessary to take away our sins. In Jesus’ course corrections, we begin to see the ultimate destination of history. We’re headed toward a holy place, one where love overcomes all, where there is no injury or enemies. The Bible calls us to live into that truth now. Let’s go back to how this idea of trajectory affects the slavery issue. Yes, even the early Christians seemed to put up with this nasty, demeaning institution, although we have to remember Christians really didn’t have any power for centuries. The only way they could change the world around them was through clever, subversive means. And they did change the world over the centuries, even before coming into power in the Holy Roman Empire. We see early evidence of the change occurring in a tiny letter in the New Testament, Philemon. Paul wrote it to send back with a runaway slave, Onesimus, who had been helping Paul in prison but now was returning to his master. Onesimus may have been just a boy. The slave owner and recipient of the letter, a Christian named Philemon, had the right under Roman law to punish Onesimus harshly, but Philemon found himself in a difficult position once his slave returned. In the letter, Paul applied the principles of love declared by Christ, referring to the slave as a brother in Christ, and addressing the letter so it would be read before the entire congregation of Christians. I would encourage you to read the whole letter with an eye to how Paul cleverly tried to free Onesimus, letting the power of love go to work on a slave owner’s heart. We don’t have clear evidence one way or the other, but I have no doubt Onesimus was freed. Some scholars believe the early church’s Bishop Onesimus of Ephesus was the boy slave grown into manhood. And yes, the trajectory of this particular biblical idea continued into the future. 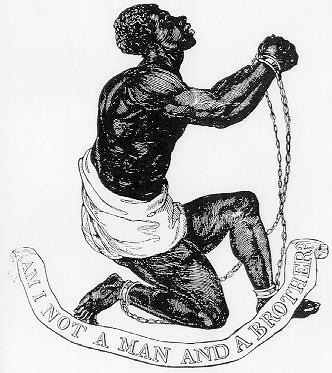 Slavery became illegal in the western world largely because of British Christians, most notably William Wilberforce and others with ties to Methodism. They understood the enslavement of others was contrary to the teachings of Christ. In fact, I think one could argue that without Christianity, slavery might continue as a legal institution even now. Slavery is just one example of biblical ideas shaping the world. Christ’s teachings and sacrifice on the cross, given time, change everything.